Not your average chicken soup recipe! This Spicy Thai Chicken Soup will spice things up in your life. My house is eerily quiet this week. The kids went back to school. Our recent house guests (with two extra children + a cat) have moved out. Lt. Dan, who often works from home, has been in his office more than usual. And my dog has not been barking at every poor soul that power-walks past our fence. This must be the calm before the storm. You know what I’m talking about… Summer is nearly over and we’re now in the few short weeks of peaceful living, before the onslaught of escalating holiday fun and activities begin. October usually marks a 3 month rampage of head-spinning excitement around here. I think I’m going to try to keep things on the down-low this year. Same amount of fun, less head spinning. Good plan? And there’s nothing more calming than a hearty bowl of chicken soup. This Spicy Thai Chicken Soup recipe is bold and spicy, yet soothing. Nutrient rich, yet satisfying. It’s the kind of soup you can feel good about serving to your family. 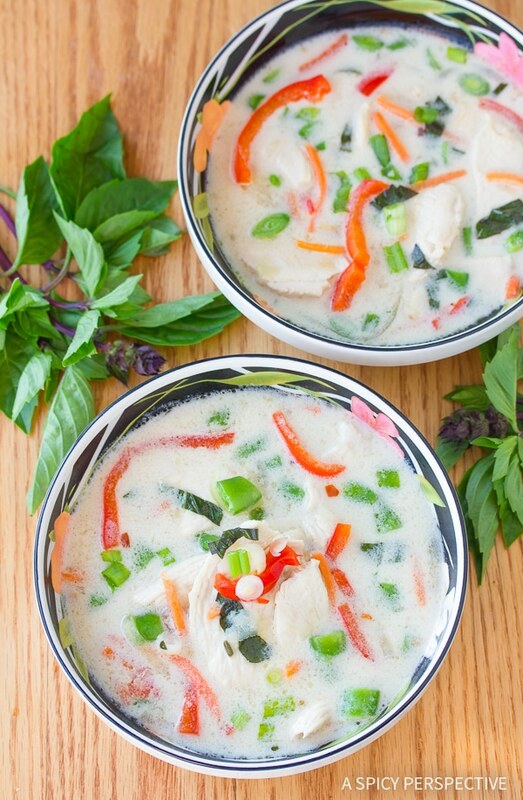 Plus the combination of thai-inspired ingredients like coconut milk, fish sauce, ginger, and thai basil give it a delicate balance of intrigue and warming tranquility. The aroma alone is something to experience. I love this Spicy Thai Chicken Soup and I hope it offers you the same comforting gratification it bring me. It’s bold, veggie-laden, and a feast for the senses. Hot and steamy, with aromatic herbs and spices, and a touch of creamy coconut in the broth. Chicken soup never had it so good. This Chicken Soup packs a punch! 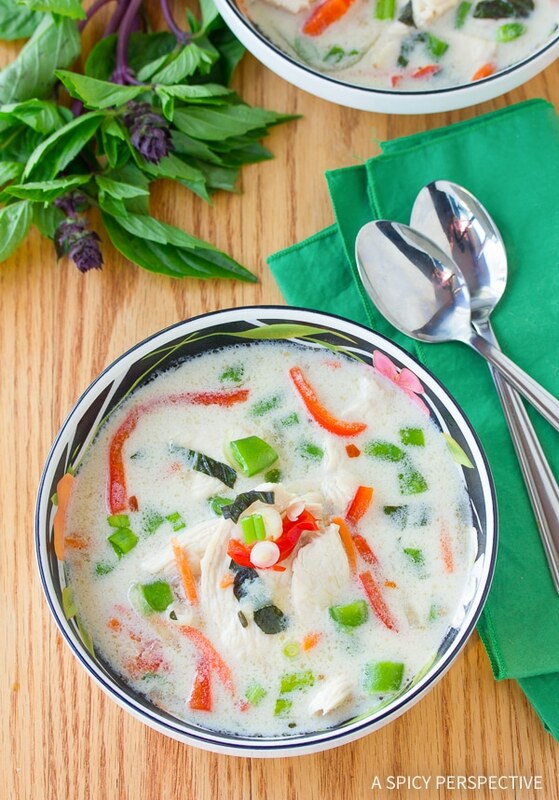 Our Spicy Thai Chicken Soup Recipe is loaded with flavor, and is extremely healthy. Place a large sauce pot over medium-high heat. Add both oils to the pot, followed by the onions. Saute the onions for 2-3 minutes, stirring regularly. Then add the garlic and ginger and saute for 1 more minute. Add the stock, coconut milk, fish sauce and crushed red pepper. Bring to a boil. Simmer for 10 minutes. Then add the sliced chicken. Stir to separate, then simmer another 5-8 minutes until the chicken is cooked through. Turn off the heat and add the red bell peppers, carrots, snap peas and basil. Cover the pot and steep the vegetable for 5 minutes, until barely cooked through, but still firm. Taste, then salt and pepper as needed. Serve warm with a sprinkle of chopped green onions. Wonderful! 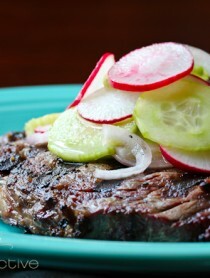 This is my second recipe off your site and it was a smashing hit. The flavors come together really well. Thank you! Previously I tried the Penang Curry and I commented I wouldn’t give up restaurant curry. Well, I lied. Your recipe and method is superb. It has inspired me to get back in the kitchen again. I am interested in making yellow curry. Would I follow the same method except substitute for Maeseri Yellow Curry and potatoes? Please advise. Potato curry will take longer to cook because potatoes are so firm. But yes, as long as you allow for extra simmer-time and liquid, you should be able to make it in a similar fashion. This soup was fabulous! 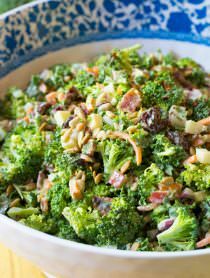 Just the right amount of heat with pepper flakes, creamy, and full of crisp tender veggies. It was creamy and refreshing. Served it with homemade shrimp salad rolls. Thanks for the recipe! This is so yummy! It’s even better as leftovers! I divided it up and froze some too. I didn’t have snap peas but love mushrooms and always have some on hand so I added them to the soup instead, and I used olive oil instead of vegetable oil. Of course extra chili flakes as I love it spicy. I will definitely make this again! Is this the same as Tom Kha (sp?) ? Either way it sounds excellent and I like the vibrant colors. I could go for some of that right now. There’s a chill in the air today, which makes it a wonderful night for a soup night! 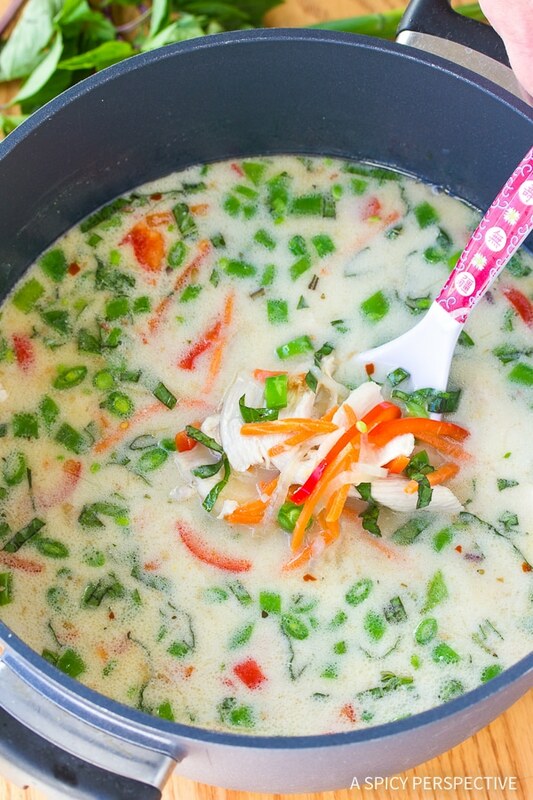 I just love adding coconut milk into my soups, its the perfect touch of flavor :) this looks amazing!! This soup is amazing! Such a fun twist on the classic! this soup sounds amazing… I’m all for calm, too! Calm makes me happy, too. Not a fan of the frenzy. Love this soup! I live right beside one of the best Thai places I have ever eaten at, I love it and eat there probably too often…which is why I should make this soup!! I love love asian inspired soups–this looks just perfect. Beautiful pictures too! 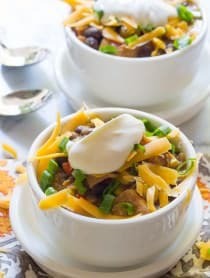 I am so excited for soup and chili season and this recipe looks like the perfect bowl to kick it off! I am ridiculously excited for soup season! Three of us woke up with colds so chicken soup is PERFECT! Heading to thaw some stock right now. I love soup like this Sommer! delicious! Mmmm!!! This soup sounds delicious! I’m getting so ready for cooler temps and soup! This Thai soup will fit the bill!!! I’ve been dreaming of this soup since you shared the photo!! Love Thai soups!! yum! I love the thai spin on this!! extra flavorful, for sure! Love this soup but not the calm eeriness we go through when kids are off doing their stuff. Yes to Thai flavors, I love this spin on chicken soup! I bet this soup tastes great Sommer! This is my kind of comfort food! Loving these flavors!! heck yes!! I love thai anything – those flavors are rocking my world! I have made a similar soup in the past but I have sort of forgotten about it. This is a wonderful soup and I think I have everything on hand except Thai basil….but the local Farmer’s Market is today, so basil-seeking I shall go. Thanks for the inspiration! I love this soup Sommer – Thai flavors are one of my favorites, full of spice and flavor! This is one of my favourite styles of soups! I am so into the light and tasty Thai flavours in it! Such beautiful colors in this soup — sounds amazing! I make a soup like this so I know this is absolutely delicious! I garnish mine with fresh jalapeno, I would love to try your version! Oh yum! I love thai anything and soup seems fitting now that is it September! Oh me oh my – I believe that this is the best soup. Ever.